Scott Beale has several years of experience in the aviation and aerospace industry and is working as Senior Vice President of Sales. Scott is trained in operations management, negotiation, customer service, management, as well as strategic planning. He also has a strong business development professional skill with a Bachelors degree which is focused in Business Administration and Management from Ohio State University. Scott Beale since the year 2007 has been serving as the member of the Board of Directors for the National Air Transportation Association Air Charter and Safety. He has in fact held a number of executive positions in several aviation firms. At present, Scott Beale Aviation has been working as the Senior Vice President of Sales and Corporate Development at Tempus Applied Solutions. Earlier he has been working as the President and CEO of Aerodynamics Incorporated where he piloted the three hundred percent increase of the revenue of the company. As far as his education qualification is concerned, Scott has obtained the Bachelors degree in Business Administration and Management from The Ohio State University. After this, he started with his professional career with FlightWorks as the Chief Executive officer and founder. FlightWorks has been based out of Atlanta, Georgia and he has been associated with the company for almost nine years. Post this, Scott Beale Aviation joined Aerodynamics Inc. as the CEO and he served the company for almost four years. After leaving Aerodynamics Inc., he has joined Tempus Applied Solutions where he is still working as SVP sales and corporate development. He has great expertise in aviation, management and strategic planning and has knowledge about business strategy and development, operations management etc. Moreover, he has outstanding interpersonal skills such as leadership qualities, customer service and negotiation skills. Scott Beale continues to clock in hours in aircraft education and training and is affiliated with a number of aviation and non-aviation associations such as the National Air Transportation Association Air Charter Safety. He has been associates as a member of the board of directors here since the year 2007 till 2010 and served as an executive board member of Phi Delta Theta Fraternity from the year 1991 to 1995. Being an outstanding business entrepreneur, developer, and aviation professional, Scott Beale is leads Tempus Applied Solution’s strategic planning and multimillion-dollar contract management and has engaged in top level set initiatives infrastructure design, business integration, reorganization, culture change for the company, and process re-engineering. 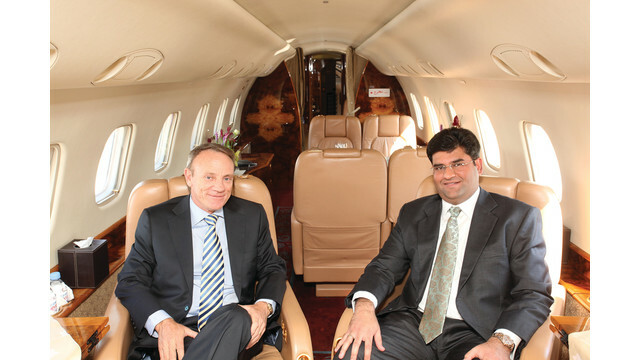 With more than two decades in the aviation industry, Scott Beale has been quite successful when it comes to developing, establishing, managing and owning businesses which may include many facets of operations such as partner and customer relations, sales and marketing, business, accounting and brand development, as well as human capital management. His excellence in tactical and strategic planning, financial reporting, account development and acquisition, budget management, regulatory compliance, contract negotiations, operational execution, sales team training and supervision, and customer and partner relations have helped him become one of the most successful individuals.